Our choices always reflect ourselves; express our knowledge, searches and the extent to which our taste is refined. And, exactly as harmony results from details, while imprinting also a specific note onto a concept of classic or sophisticated design, attitude or beauty may define us in terms of message and image. Since over 9 years the photos of Ramona Ileana and of the Nobilis furniture and decorations have been taken by Gabriel Hennessey. Bringing together art and design on every level, the NOBILIS showroom in World Trade Plaza Galleries, is a source of constant inspiration through the Poltrona Frau furniture items and accessories. The lines, colors and materials - the most important being the famous Frau leather - are emphasized by an extremely inspired design. Nobilis, the exclusive importer of Poltrona Frau - a furniture brand that is synonymous with luxury, quality and uniqueness - invites you to discover world legendary furniture items such as Vanity Fair, 1919, Regina, Archibald armchairs, the Chester, John-John couches and many others. Available in Romania, exclusively through Nobilis. 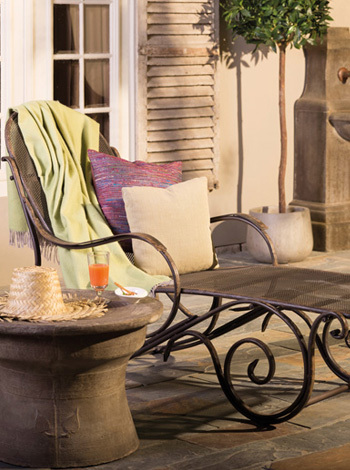 From the very beginning, this English conceived armchair - Chester - was assigned the features of a memorable piece. The way in which leather was manually folded over its sides (elbow pads) is considered to this day a benchmark in the furniture history, 100 years since it was created. On the occasion of the Design Week in Milano, the courageous designer Paola Navone proposed a new interpretation of Chester, a comprehensive statement of the possibilities of reaching harmony between past and future, classicism and the avantgarde. 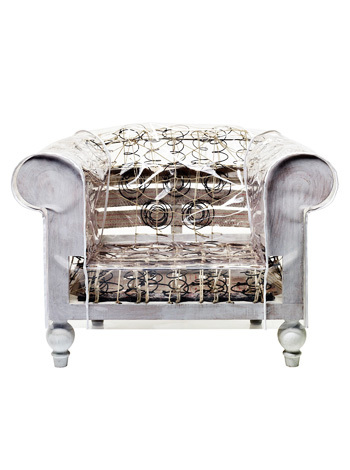 More precisely, this armchair, which was once made of leather, has become Ghostfield, a transparent armchair, its upholstery being made of a special PVC sheet. The amazing features of the conical springs or of the wood used for its structure (hidden in the past) are now apparent, allowing full visibility of the talent of the craftsmen that made it, for being accordingly appreciated. We invite the fans that are searching for and want such unique Poltrona Frau furniture items at the NOBILIS showroom in the World Trade Center Galleries, at 10 Piaţa Montreal St. The Flamant 2013 spring-summer collection - this being a furniture and accessories brand imported by Nobilis, brings about, besides design suggestions, a suprising diversity of furniture items and accessories made of natural materials such as oak, pine, cast iron, leather, cool linen, silk or cotton textiles, etc. Prepare yourself for a chic holiday, Flamant style!